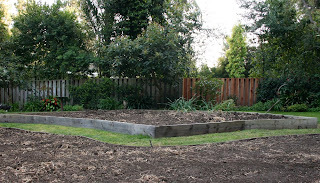 Spent 3 1/2 hours in the garden today, planting green bunching onions, walla walla onions, kale, Swiss chard, arugula, 4 different kinds of lettuce, radishes, corn and mache. It's supposed to be quite warm for the next few days. In the 80s. Yeah, that will get everything off to a great start. 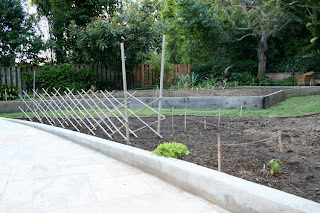 Did I mention that I planted 2 rows of carrots and 2 rows of peas on Monday? See the criss cross supports? Those are for the peas. Meanwhile, my seeds in pots are finally taking hold. 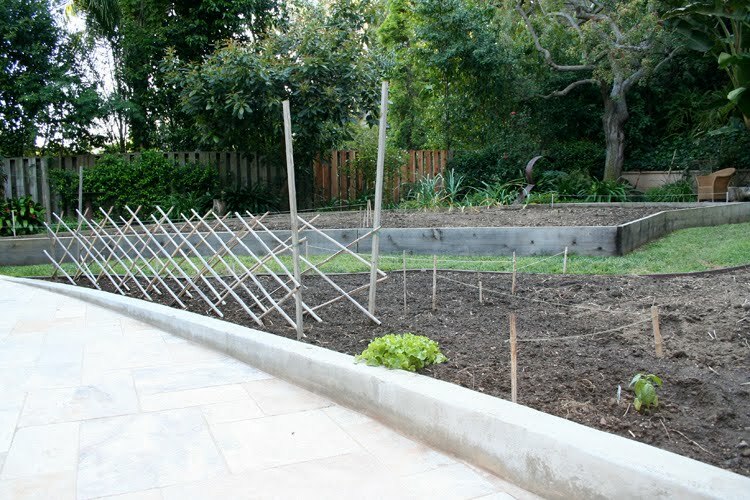 I have sprouting squash, Brandywine tomatoes, Beefsteak tomatoes, and peas. So far, nothing from any of the peppers I planted. Same for the broccoli and eggplant. Oh well, let's give it a few more days.